This sites provides information about the major public herbaria in New Zealand. It provides details on the scope of their holdings, number of specimens, important collections and collectors, current staff and contact details. 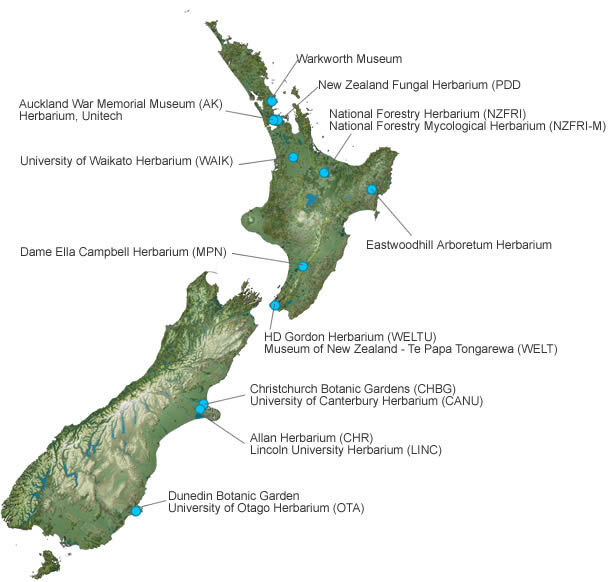 All herbaria listed are members of the New Zealand National Herbarium Network.